FRANKFURT • The European Central Bank (ECB) delved deep into its remaining arsenal of stimulus options yesterday, cutting all three of its interest rates and expanding asset-buying, to boost the economy and prevent ultra-low inflation becoming entrenched. 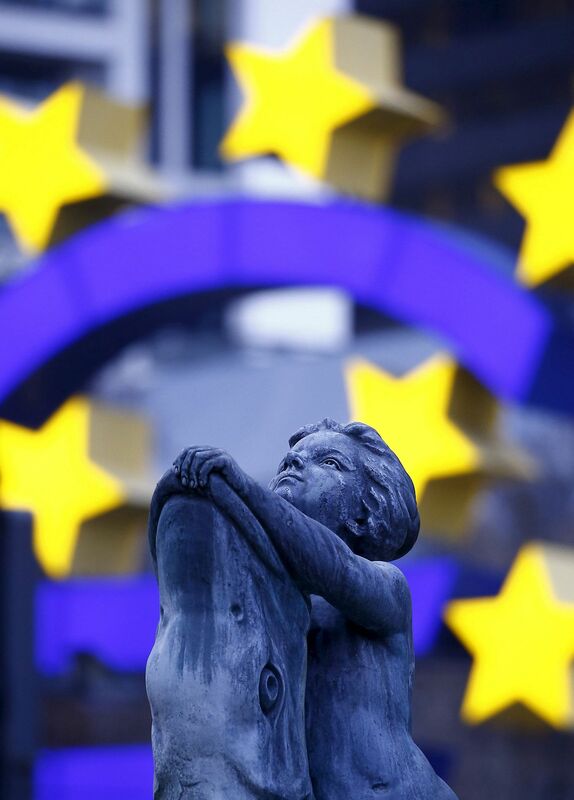 In moves that initially pushed the euro down against the United States dollar before it recovered, the ECB cut its deposit rate deeper into negative territory and raised monthly asset buys to €80 billion (S$121.3 billion) from €60 billion, above market expectations. While the deposit rate was cut 10 basis points to -0.4 per cent, the main refinancing rate was shaved to zero from 0.05 per cent and its marginal lending rate - imposed on banks which borrow from the ECB overnight - fell to 0.25 per cent from 0.3 per cent. Hoping to boost lending, consumption and inflation, the ECB said it would also start buying corporate debt and launch four new rounds of cheap loan packages, to be extended by banks to the real economy. "This comprehensive package will exploit the synergies between the different instruments," ECB president Mario Draghi said of the new measures at a press conference after the announcement. The package has been "calibrated to further ease financing conditions, stimulate new credit provision and thereby reinforce the momentum of the euro area's economic recovery and accelerate the return of inflation to levels below but close to 2 per cent", he said. The bank cut its 2016 inflation projection to 0.1 per cent from 1.0 per cent and lowered next year's forecast to 1.3 per cent from 1.6 per cent. European shares responded enthusiastically to the ECB package. The Stoxx Europe 600 Index surged, heading for a two-month high, and government bonds rose. The euro, which initially sank 1.3 per cent against the US dollar, later recovered from six-week lows, to trade above US$1.09 as money market rates in the euro zone rose to price out further deposit rate cuts. "This is presumably an example of whatever it takes," said Mr Stewart Robertson, an economist at Aviva Investors in London. "So far so good. Now let's see if it feeds into the real economy." Others warned that such loose monetary policy risked creating asset price bubbles and removed any incentive for governments to reform their economies. "What will happen if the global economic situation deteriorates sharply once more, requiring a strong monetary policy response? I do not anticipate this happening, but if it did, the ECB would have already shot most of its powder," said Mr Michael Menhart, chief economist at German reinsurer Munich Re. The ECB has little to show for the €700 billion it has spent buying government bonds and other assets in the past year, as tumbling raw material prices blunt the impact of its quantitative easing. That raises the risk that people will lose faith in the bank's commitment to its mandate. While Europe's growth prospects have held up relatively well on resilient domestic consumption, weak business and industrial sentiment indicators suggest it is facing increasing headwinds, particularly from slowing growth in China.